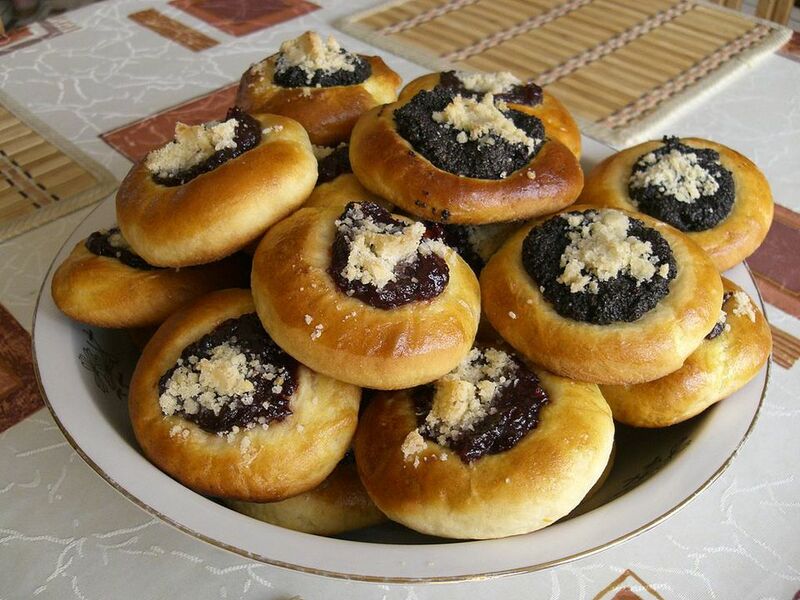 This kolacky dough recipe is made with only three ingredients—cottage cheese, butter and flour. There are no eggs in the dough. I really like this recipe because the curds in the cheese make for a flaky dough much like puff pastry. If you don't want to roll the dough, you can turn it into tartlets by not refrigerating the dough and immediately portioning it, using a 1-inch cookie scoop into un-greased mini tart pans (the kind you would use to make pecan tassies) and adding a generous dollop of your favorite fruit, nut or sweet cheese filling. Mini muffin pans are generally larger than mini tart pans, so you will probably need more dough. In a large bowl, cut butter into flour as for pie dough. Add cottage cheese, mixing lightly until dough is well combined and holds together. Divide dough into two equal portions and wrap in plastic. Refrigerate for several hours or overnight. When ready to bake, heat oven to 375 degrees. On lightly floured board, roll out one portion of dough to 1/8-inch thickness. With a pizza cutter, cut dough into 2 1/2-inch squares. Place on ongreased cookie sheet, spacing 1 inch apart. Dollop a teaspoon of filling on top and bring two opposite corners to the middle and either pinch them together or overlap them. If it appears they aren't sticking together, brush one end lightly with egg white and stick the other on top of it. Bake 20 minutes or until lightly browned. Remove from pan(s) with a metal spatula and cool completely on a wire rack. Store in an airtight container. When ready to serve, dust with confectioners' sugar. For an interesting variation, bring all four corners together and pinch to seal to make a packet. Or you can press the dough into mini tartlet pans. Source: Solo Foods, used with permission.